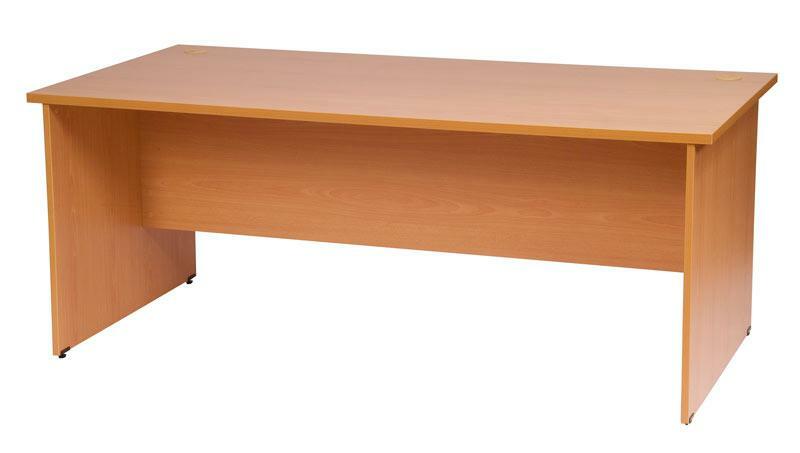 Stella Office Furniture Desk 1800mmW x 900mmD x 720mmH (S1) Allowance has been made on the desks for skirting. Cable access holes and adjustable feet are standard. 25 mm tops, 18 mm ends and modesty panels. Desk mounted screens may be installed without modification to the furniture. Allowance has been made on the desks for skirting. Cable access holes and adjustable feet are standard. 25 mm tops, 18 mm ends and modesty panels. 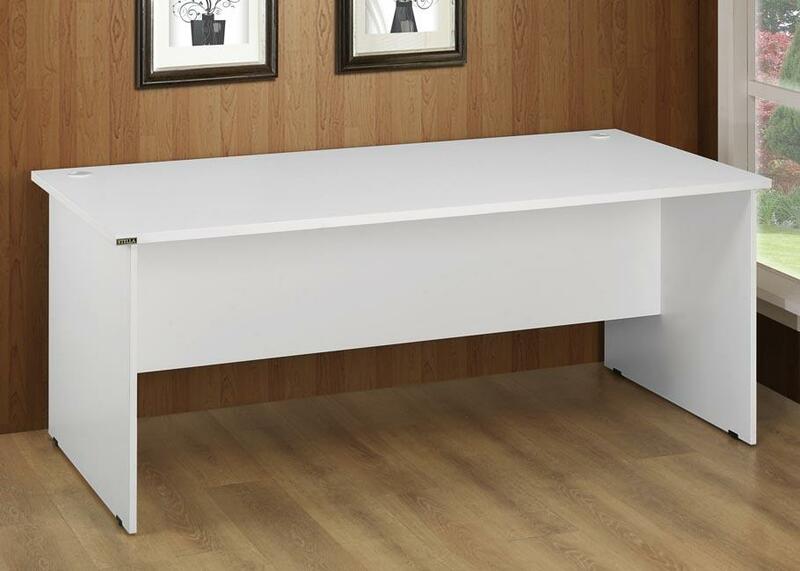 Desk mounted screens may be installed without modification to the furniture.